The last winter I experienced was in 2004 while I was in Taiwan. Whoa! Couldn't believe that was 10 years ago! Imagine how I miss sipping piping hot chocolate on a lovely winter morning, the chilly wind blowing against my icy cold face while all bundled up with layers and layers of warm winter clothes, winter boots, and fashionable scarves, and simply snuggling in bed with thick comforter or heated blanket while it's freezing outside. Aaaaah, I miss winter terribly! Can you blame me for planning our next family winter holiday as early as now? Of course not! I did a little research to maximize our family's next winter holiday and thought of sharing with you some tips that you may also find useful in planning your family's next winter holiday. 1. Choose a budget-friendly winter holiday package or opt for free and easy. Always opt for pocket-friendly holidays and while doing so, make sure that you will not compromise the quality of service you are going to get. There are a plethora of amazing winter holiday packages to choose from otherwise you can book your flight, accommodation and entrance fees to winter wonderlands separately. Whichever works for you will do. All you have to do is sacrifice a little of your precious time reading honest travel reviews based on first hand experiences. There are times when cheap is synonymous to a whole load of crap but if you do proper research, it is possible to get a good deal accompanied by great travel experience. 2. Choose a location that both adults and kids will surely enjoy. Winter destination on top of our list are: Hokkaido - Japan, Seoul - Korea, The South Island - New Zealand, Whistler - Canada, Santa's Lapland and Zurich - Switzerland in random order. What do all these places have one thing in common? Snow! Lots and lots of snow. Give my family some snow and we are a happy bunch of snow-deprived kids and kids at heart. Who wouldn't love to build his own version of Olaf, right? Frozen themed holiday, anyone? Bring it on! I can already imagine how the kids will giggle non-stop while having a snow ball fight with daddy and mommy and best of all, see a real Santa Claus riding a sleigh in the middle of snow wonderland. 3. List down your winter travel essentials. What will you and your kids be needing for your next winter holiday? Make a list so you won't forget anything, end up shopping last minute and spending unnecessary extra expenses during your trip. Some of winter essentials are warm boots, thermal innerwear, wool socks and hats, mittens, gloves, ear warmers, lip balm, sweaters, sweatshirts, jackets, and whatever floats in winter boat. 4. Shop for winter clothes during summer. Winter clothes are way too expensive when you buy them during winter. The best time to buy is during summer, where you can find plenty of winterwear on marked down prices. Prices tend to go up as winter season approaches and it spikes way, way up during winter itself. 5. Plan your next winter travel ahead of time. It may be just the beginning of July but it is never too early to plan for a White Christmas. Planning way ahead of time will leave you stress-free and confident that your family's next winter holiday will be as memorable and enjoyable as your summer beach vacations. Here's wishing you an awesome snow-filled winter holiday in advance! Sound tips. 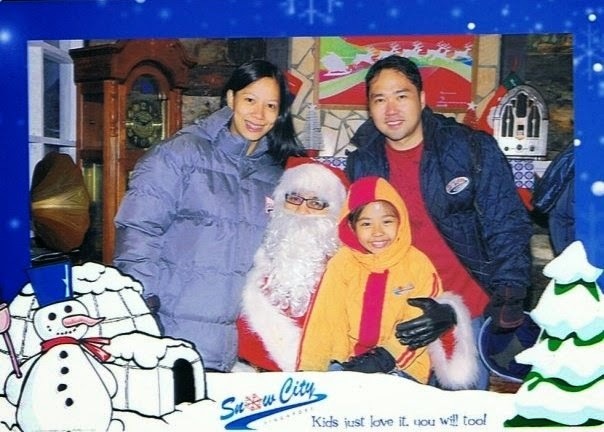 Hindi lang pang-winter ang tips mo, pang summer pa.
Winter is something I'd like to experience with my husband and son. I hope I'd have a winter experience, too, so that I can apply these tips you generously shared with your readers. Winter is the season that I would like to experience soon. I might want to go in a temperate climate to enjoy winter solstice there.